Most Japanese classes focus on teaching by encouraging memorization. This is not strange as memorization is quite common in the culture. This is not the best approach though, because our brains work differently. Rather than focusing on memorizing the words in the language, you try recalling. Recalling means that the information is permanently stored in your mind. It might take longer for you to be able to remember a big enough chunk of words to make a statement in the language, but you will be sure you will not forget easily. In the course of learning Japanese, you may find that there is an aspect of the language that you happen not to get completely. You should not ignore it; instead once you have identified it, you should work on improving on that particular aspect. This can be your area of weakness, and it’s likely that if you work on it, you can easily overcome it. Once you improve on your weak points and maybe even get past then, you will find that learning this particular language is easy. Your weak points might be the only things holding you from success and so work on them. Kanji is a big part of learning Japanese, and it is one of those things that determine how fast you can be able to learn the language. Kanji can take a long time for you to learn if you are going to do it as you learning the language. This is why it is advisable that you start with learning Kanji before you embark on learning the language. If you do this, you can be sure that learning Japanese at least for you will not be as tough a road. So, if you have been struggling with what order to learn Japanese, the right way is to start with Kanji then move on to the rest of the language. SRS (Spaced Repetition System) learning is an excellent tool for learning and mastering Japanese. This program will help you build your ability to recall and implement what you have learned through speaking or writing. The SRS learning program teaches you the language by expounding on what you can recall from what you learned earlier. 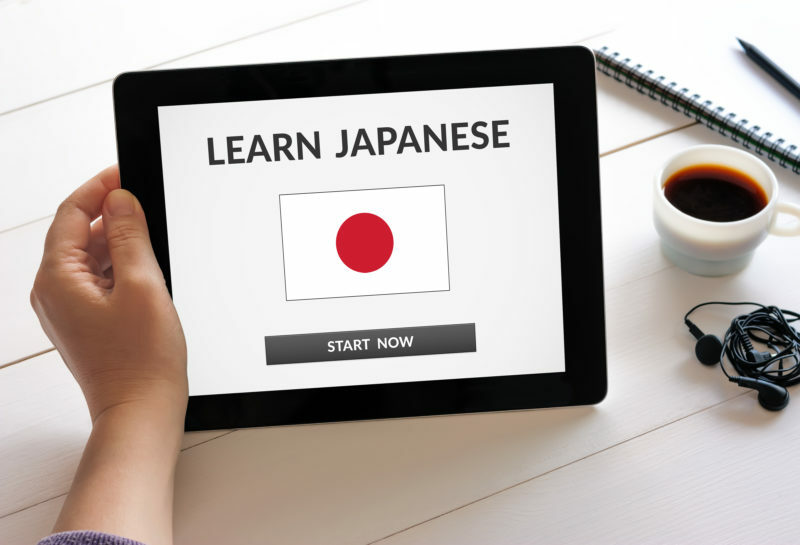 This chain-like teaching method ensures that you can fast and easily learn Japanese. Japanese, as you already know is a character-based language. If you have learned kanji, going ahead to learn the other radicals is the smartest choice you can make. There are a little more than 200 radicals of kanji that you can easily learn, and they will better your understanding of the language as you learn it. Though it’s possible to learn Japanese by yourself, it isn’t the most effective way, and neither is learning it fully through a teacher. It is essential that you as a leaner of the language try to come up with the perfect balance for you between self-teaching and getting a teacher. You can get a teacher to help with the tough parts and learn the rest by yourself. A teacher’s input can be quite invaluable especially if they have long-term experience. The know the does and don’ts of leaning the language. It might look difficult, but kanji is quite easy to learn. This is if you find a way to learn it that works well with you. Most tutors you encounter will try to make it unnecessarily complicated by asking you to stick to a particular order as you learn it. There is no point in this as you can learn kanji in any order you like and it won’t affect how you understand the language. So, feel free to learn it how you want, you might even find its easier that way. This being a character-based language, the most common mistake that most people make is to put too much focus on writing as they learn the language. If you want to learn Japanese perfectly, you should be able to balance writing, reading, and speaking. There is no point if you can write a language, but you can’t speak it. For you to communicate well in Japanese, you should be able to read, write and speak it. Make sure you balance everything in your learning. If you are not using mnemonics, then you are doing it all wrong. Mnemonics are the basic techniques that allows for the association of information that you have already grasped with what you are trying to grasp. Through mnemonics, you will be able to easily grasp what you have not already by associating it with what you already have understood. If you are looking for progress as you learn this Japanese, then I can’t overstate the importance of mnemonics. An important part of learning a language as complex as Japanese is making mistakes. If you are not ready to make mistakes, then you are not willing to learn and make progress. The best part about making mistakes is that you can be sure that you are very unlikely to make the same mistake again. As you settle on what order to learn Japanese, you should know that making mistakes make a big part of it. The more mistakes you make, the more corrections you make, and the more you learn. If you are open to making mistakes and correcting them, pretty soon you are going to be very surprised to realize that there are no more mistakes for you to make. You will have mastered the Japanese language, and you could be able to use it fluently in communication.